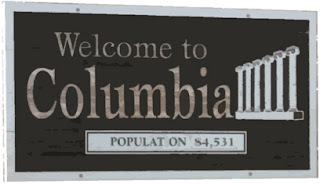 If you are new to the Columbia area, moving to town or just looking to get more involved in the commuinty this is a great post for you. Bellow we have included a list of upcoming events and a few links to help you learn more about the Columbia area. If you don't find the information you are looking for here, please feel free to our my office. All of our staff are longtime Columbia residents and will be happy to assist you. This fabulous home is located on the end of a cul-de-sac. 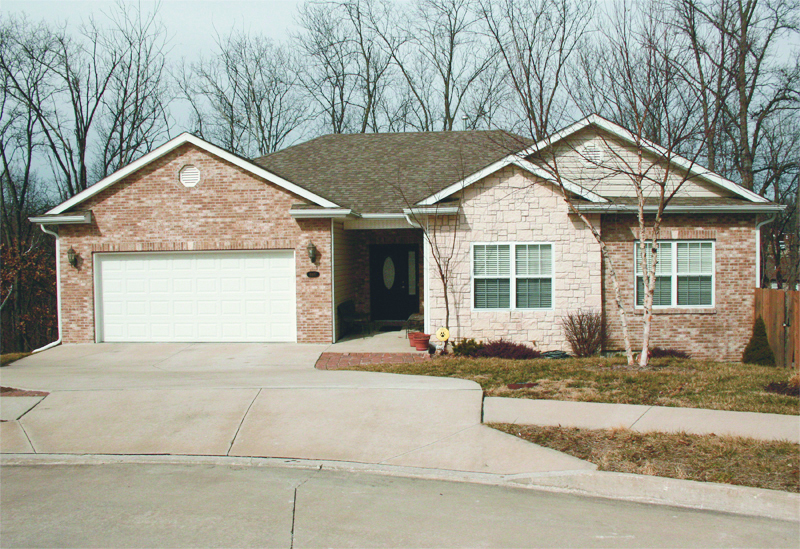 In the huge yard behind the house is a heavily wooded creek, with cut limestone steps. The home has 4 bedrooms and 3 baths. Walking into the home youre greeted by a large family room with trim around the central fireplace flanked by windows that provide ample natural lighting. To the left of the family room is a large eat-in kitchen with room for a good-sized dinning room table and additional island seating. The kitchen features cherry wood cabinets, stainless steel appliances, and tile floors. Connecting the kitchen to the garage is a lovely laundry room with a nice closet with double doors and above the washer and dryer are great shelves. Off the eat-in-kitchen is a sliding glass door that accesses the upper level of the homes two story 8' x 20' deck. The main level of the home also offers three bedrooms all with large closets (see floor plans for details). The master bedroom boasts a large walk in closet, jetted tub, double vanity, and stand-alone shower. Going down the wide staircase to the lower level youll find a large family room with the homes second fireplace and a door accessing the lower level of the deck and the large fenced back yard. The lower level also boasts an oversized bedroom, large enough to function as a guest bedroom/office or can be converted into a junior master. The lower level also has a massive 28' x 23.5' storage room. The family refers to this room as their "tornado room" as it has no windows, cement walls on two sides, and a door to the outside on a cement wall the room fits its name. To see it for yourself, call Susan Today! Directions: 63N to Vandiver Exit, left on ramp to round-about, take the round-about to Vandiver Dr. Go to the next round-about and take a left onto Mexico Gravel, to the 3rd round-about, and go left at Ballenger to left on Wren Wood. This 3 bedroom, 2 and a half bath country home sits on 5 acres. The house is being built with all the extras in mind, from a gourmet kitchen and pantry to fabulous master bath. Youll love the covered cedar beam front and back porches. The open floor-plan allows for a bright and sunny breakfast room, kitchen and living room. This new construction is built to last! 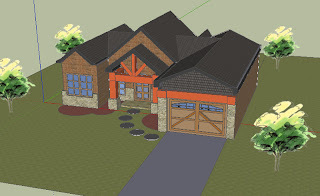 The builder plans for a brick and stone facade. 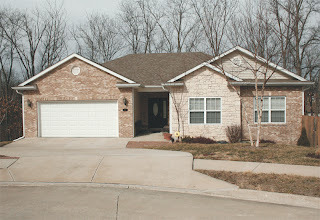 For more information visit our website www.SusanHorak.com, to see the home for yourself call Susan Today! Lawrence Yun, NAR chief economist, said this is a hopeful indicator going into the spring home-buying season. Given more favorable housing market conditions, the trend in contract activity implies we are on track for a more meaningful sales gain this year. With a sustained downtrend in unsold inventory, this would bring about a broad price stabilization or even modest national price growth, of course with local variations. Movements in the index have been uneven, reflecting the headwinds of tight credit, but job gains, high affordability and rising rents are hopefully pushing the market into what appears to be a sustained housing recovery, Yun said. If and when credit availability conditions return to normal, home sales will likely get a 15 percent boost, speed up the home-price recovery, and thereby significantly reduce the number of homeowners who are underwater. The National Association of Realtors®, The Voice for Real Estate, is Americas largest trade association, representing 1 million members involved in all aspects of the residential and commercial real estate industries. *The Pending Home Sales Index is a leading indicator for the housing sector, based on pending sales of existing homes. A sale is listed as pending when the contract has been signed but the transaction has not closed, though the sale usually is finalized within one or two months of signing. The index is based on a large national sample, typically representing about 20 percent of transactions for existing-home sales. In developing the model for the index, it was demonstrated that the level of monthly sales-contract activity parallels the level of closed existing-home sales in the following two months. An index of 100 is equal to the average level of contract activity during 2001, which was the first year to be examined as well as the first of five consecutive record years for existing-home sales; it coincides with a level that is historically healthy. Also released today are annual data revisions. Each February, NAR Research incorporates a normal review of seasonal activity factors and fine-tunes historic data for the past three years based on the most recent findings. There are no changes to unadjusted or annual data. The home buyer tax credit and a greater investor share in winter months likely contributed to a larger-than-normal adjustment to the seasonal factors. NOTE: Existing-home sales for February will be reported March 21 and the next Pending Home Sales Index will be released March 26. 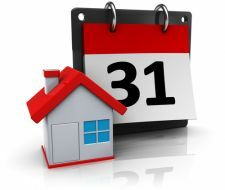 The Investment and Vacation Home Buyers Survey, covering transactions in 2011, is scheduled for March 29; all release times are 10:00 a.m. EDT. Banks are now lending amounts up to 3.5 times borrower earnings. This is up from a low during the crisis of 3.2 times borrower earnings.Banks are also loosening loan-to-value ratios (LTV), which Capital Economics denotes the clearest sign yet of an improvement in mortgage credit conditions. In contrast to a low of 74 percent reached in mid-2010, banks are now lending at 82 percent LTV. Additionally, Capital Economics says any improvement in credit conditions wont be significant enough to generation actual house price gains, and potential ramifications from the euro-zone pose a threat to future credit availability. 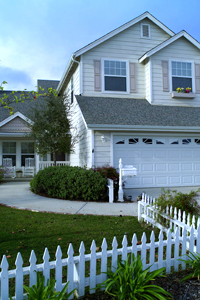 Senators Lisa Murkowski (R-Alaska), Scott Brown (R-Massachusetts), and Sherrod Brown (D-Ohio) proposed the bill addressing the issue of short sales timelines on February 17. A short sale is a real estate transaction where the homeowner sells the property for less than the unpaid balance with the lenders approval. There are neighborhoods across the country full of empty homes and underwater owners that have legitimate offers, but unresponsive banks, said Murkowski. What we have here is a failure to communicate. Why dont we make it easier for Americans trying to participate in the housing market, regardless of whether the answer is yes, no or maybe? The legislation, also known as the Prompt Notification of Short Sale Act, will require a written response from a lender no later than 75 days after receipt of the written request from the buyer. The lenders response to the buyer must specify acceptance, rejection, a counter offer, need for extension, and an estimation for when a decision will be reached. The servicer will be limited to one extension of no more than 21 days. The bill will also allow the buyer to be awarded $1000, plus reasonable attorney fees if the Act is violated. According to a release from Short Sale New England, short sale homes do not bring down neighboring home values like foreclosed homes do, and 83 percent of short sale buyers are satisfied with their purchase, according to a 2012 Home Ownership Satisfaction Survey conducted by HomeGain. The survey also found that 18.2 percent of deals require less than three months to complete, with 10 percent requiring more than 10 months. When agents in the survey were asked to how the short sale process can be improved, 57.6 percent said lenders should take less time to close transactions, 14 percent said borrowers should be better educated about short sales, and 40.4 percent said both of these changes are necessary to improve the process. In April 2011, a similar bill was introduced by Reps. Tom Rooney (R-Florida) and Robert Andrews (D-New Jersey), but this version requested a response deadline of 45 days instead of 75 from lenders. The legislation never came up for debate before a House committee. Buying a home can be one of the more stressful experiences in life. It is often a long and sometimes intimidating process, lasting up to six months on average. The Real Estate market is huge and changes often with swings up and down. Its easy to become overwhelmed by how much is ahead of you and how little you know about the process. But with the right attitude, it can also be an enjoyable, even exhilarating experience. Here are some tips to make your home-buying experience positive and less stressful. Organize Be prepared by becoming knowledgeable. Educate yourself on each step of the process so you know what to expect. Get organized ahead of time. Keep a notebook and calendar dedicated exclusively to the home-buying process. An Excel spreadsheet is a great way to organize and compare all the information you gather, such as the homes you are interested in, potential lenders, and different mortgage rates. 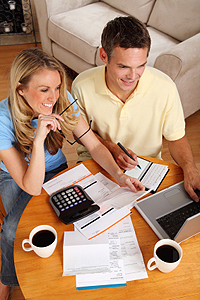 Finances Assess your financial situation before you begin looking for a home. Come up with a solid number for the maximum amount you can afford, as well as a target amount you would like to spend, ahead of time. Overestimate the closing costs (interest rates can change). This is also a good time to begin gathering the financial documents that youll need when applying for a loan. Keep your finances in order until you close on your new home, which could be as long as six months away. Do whatever you can to help improve your credit score; dont acquire new debt (no major purchases, new loans or new credit cards), reduce or eliminate any current debt, and pay your bills on time. It is never too early to begin improving your credit and is best started as early as two years prior to purchasing a home. 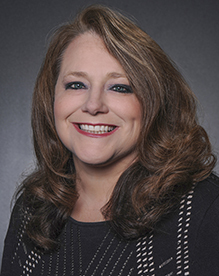 Find an Agent Find a real estate agent who you trust and connect with on a personal level. Communication in this relationship is fundamental. Some questions to ask yourself: Are they good at translating industry jargon into terms you can easily understand? Do they communicate well using media that works for you, such as email, cell phone, or video conferencing? Credentials are a big factor too. Choose an agent with proven expertise in both the type of property and property location that interests you. Think from the end, is a common phrase heard in human potential circles. See yourself in your new home. How does it make you feel? What does it look like? Keep a journal to record these thoughts. Be as descriptive as possible. This can help to not only narrow down precisely what you are looking for in a home, but it can also help anchor you emotionally during a potentially unstable time by keeping the big picture in mind. While dreaming of your new home is an important first step, keeping your expectations in check is equally important. Keep in mind that the criteria of what you are looking for in a home will change along the way. No house is perfect. Be willing to compromise on some of your requirements. Make a list of your top priorities (must-haves) and lower priorities (nice-to-haves). This will help identify areas where you can be more flexible. Once youve found a home you like and know what you can work with financially, dont let the latest market news influence your decision to move forward. If you start second-guessing the housing market or interest rates, you risk losing the home to another buyer. Choose a home because you love it. Listen to your heart. Once youve made an offer on a new home, try to relax and engage in your routine activities while you wait to hear whether the seller accepts your offer. During this waiting period, there are many potential stressors that could send your mind reeling. What if the seller rejects your offer, or comes back with an unreasonable counter-offer? Was your offer too little, or too much? Be prepared to make many offers before one is accepted. Keep in mind, even if your offer is accepted, theres no guarantee it will close. Try to remain detached from the outcome until after the property has been inspected and youve been approved for a mortgage. Hire experienced and certified inspectors to conduct a thorough inspection of the property including possible insect damage. Be present during inspection, so you can ask questions regarding the home and become knowledgeable about any issues that are discovered. Taking out a loan can be the most stressful part of the home-buying process. Transactions typically take at least a month to complete. 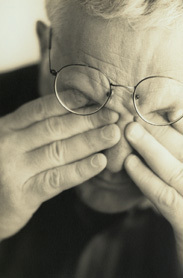 Having your financial situation scrutinized can be an uncomfortable process. Worrying about whether you will be approved is an added stressor. It helps to gather your financial records (credit card balances/statements, bank statements, investment statements) prior to meeting with a loan officer. Obtain a copy of your credit report; youre entitled by law to one free credit report per year. A copy of your 4506 T form (IRS Tax Return Transcript), which includes a summary of your tax information, is also available online for download. Dont lose sight of the fact that you have options when choosing a lender and a mortgage. This can help restore a sense of control when so much of the home-buying process is out of your hands. Talk to several lenders; dont just go for the first lender you talk to. Consult with your Real Estate agent to help you through the process of securing a mortgage. Dont hesitate to ask questions until you understand the answer. Congratulations! Youve successfully negotiated yourself through the complex maze that is home-buying and now find yourself at last kicking back on your couch with your favorite drink in the home of your dreams.